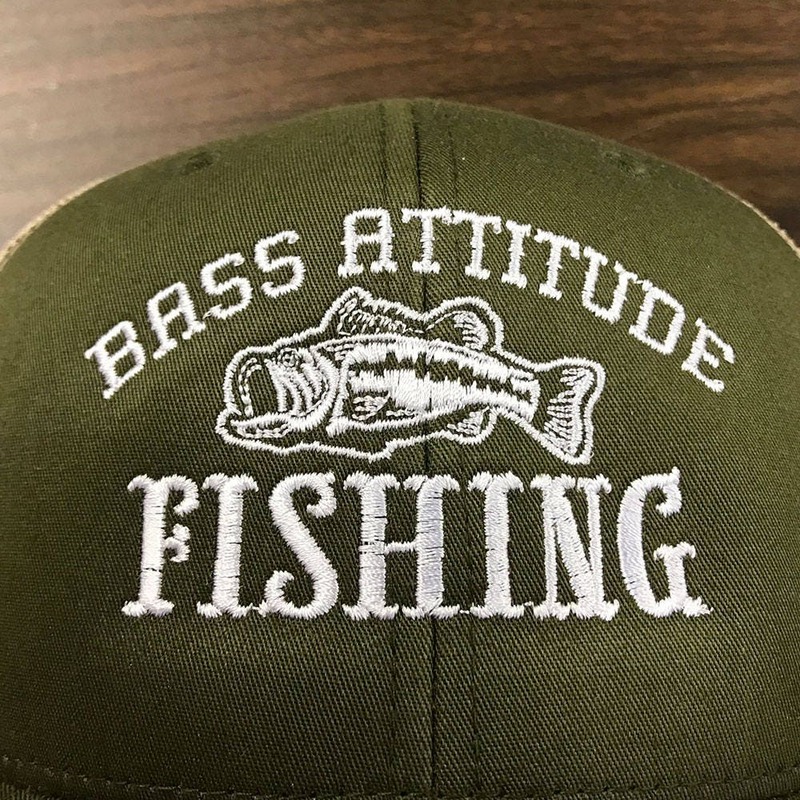 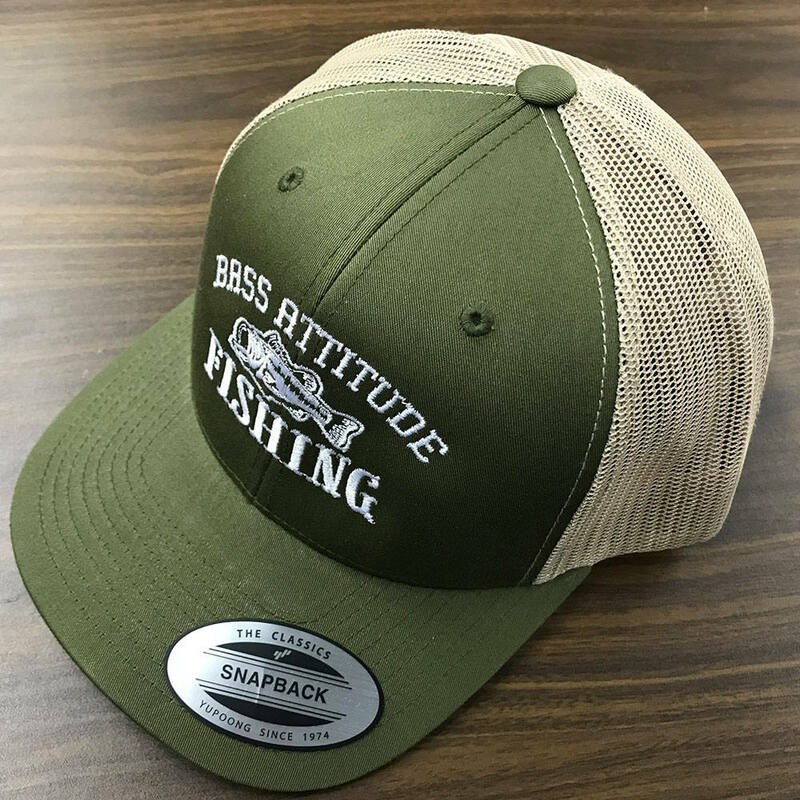 Bass Attitude Fishing Logo - Embroidered Snap-Back, structured Trucker Caps and Hats by Bass Attitude Fishing. 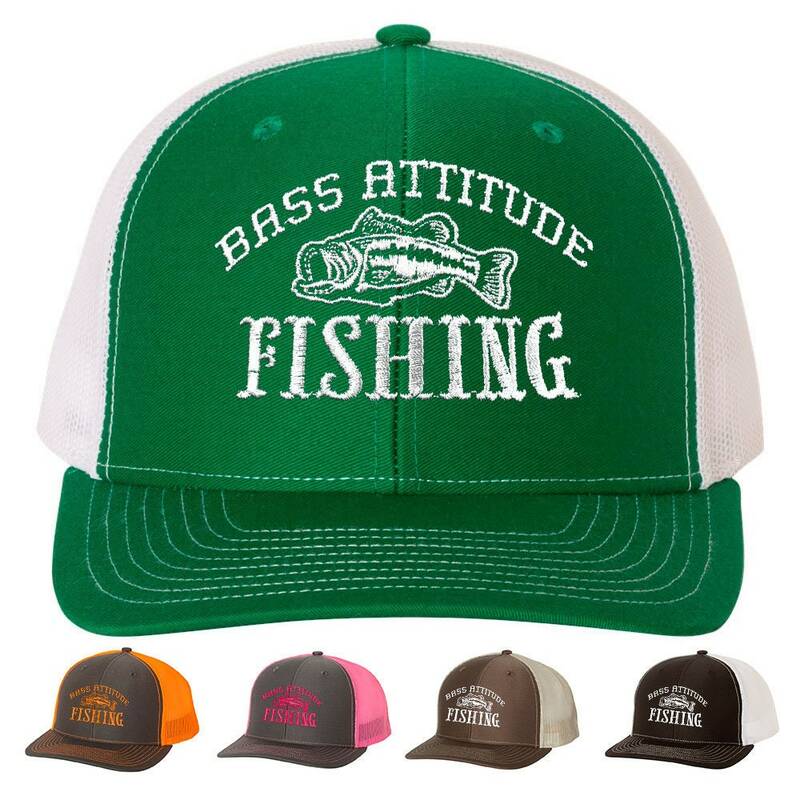 Bass Attitude Fishing Embroidered Logo - Richardson Structured Snap-back Trucker Caps and Hats. 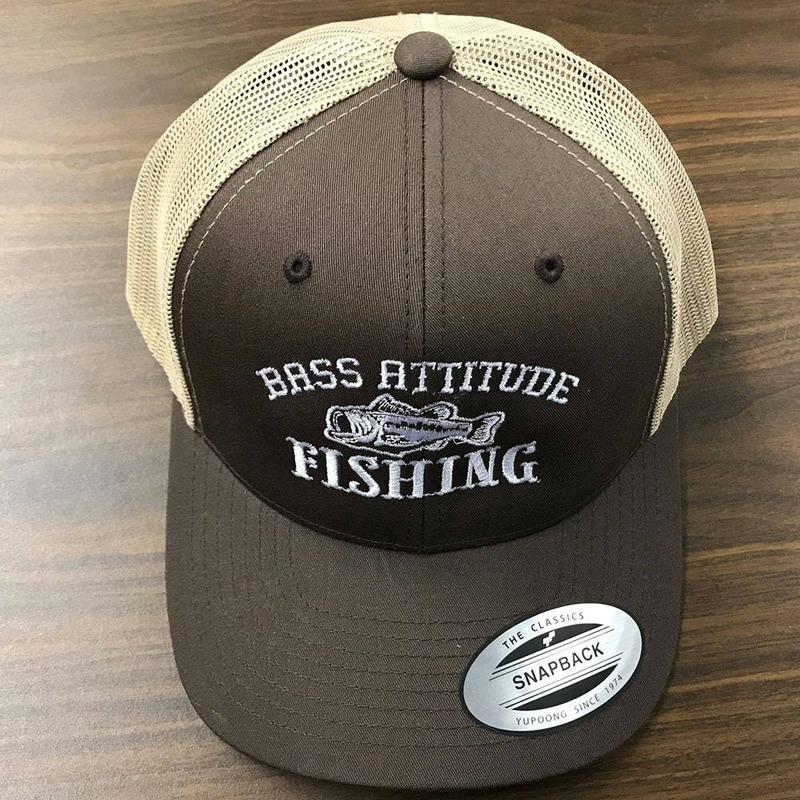 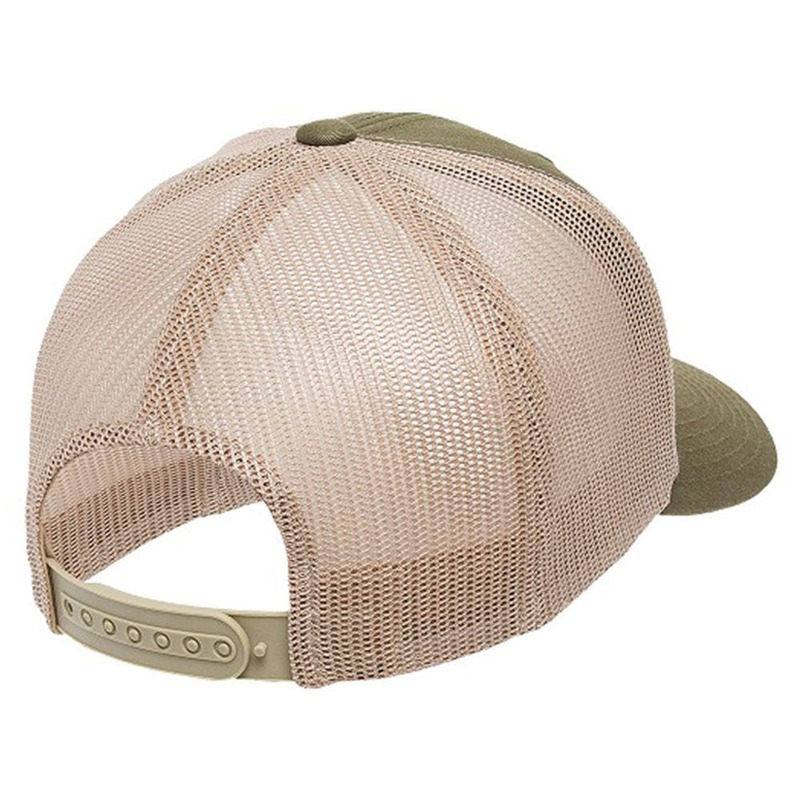 Great gift for Fishers, Anglers, and Fishing Enthusiasts. 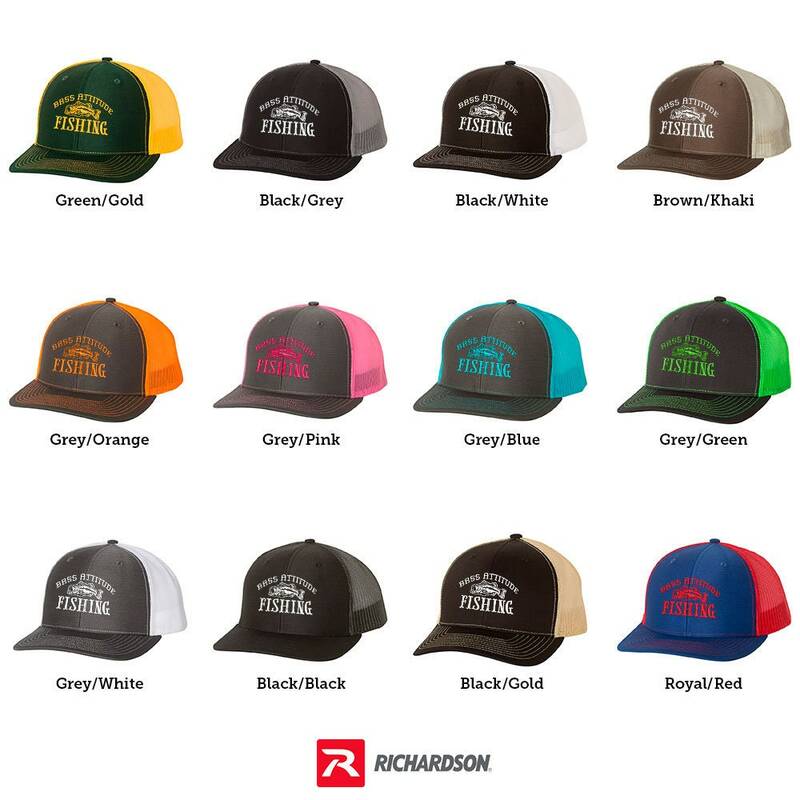 You may choose from our color selections or request a custom color of Richardson Brand structured trucker Caps and Hats. 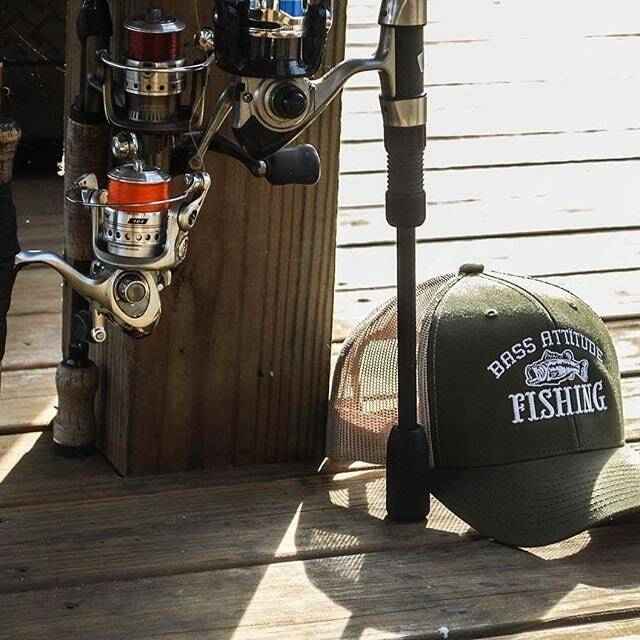 Simply select "Custom Color Request" in the drop-down menu and send us a message.